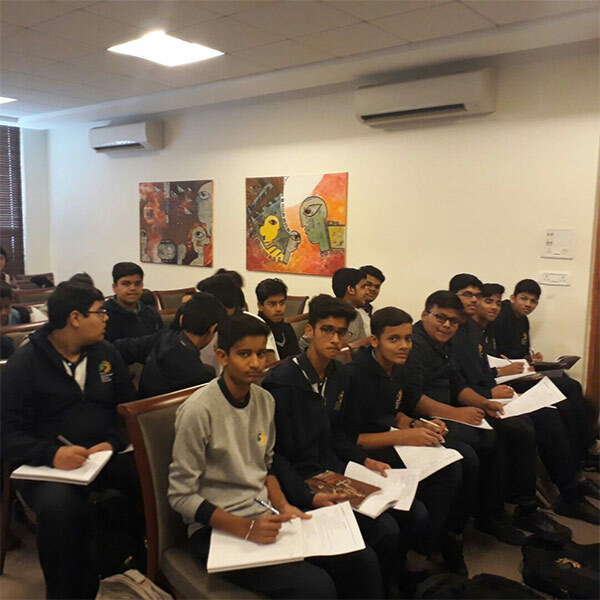 Students of class X IG attended an intensive study session on IGCSE Literature Drama (Macbeth and The Winslow Boy), facilitated by their English teacher Mr. Jayapal Reddy. 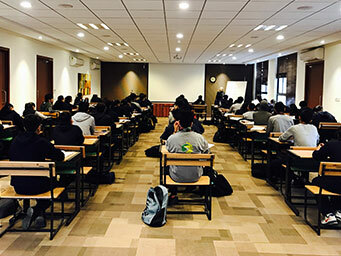 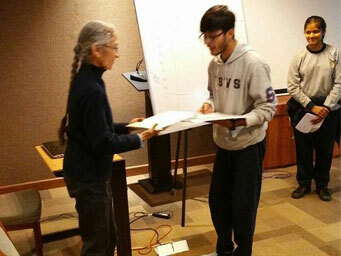 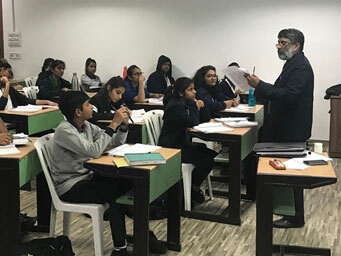 The students participated in group discussions, short presentations, and analytical talks, familiarizing them with the exam style questions, expectations of Cambridge examiners, and features of a high-grade answer in the Drama Paper. 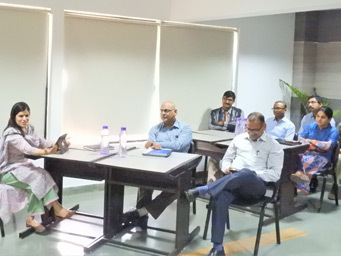 Mrs. Ruchira Ghosh- The Regional Director, South Asia, CAIE and Mr. Tanay Ghosh - Manager, North & Central India, CAIE interacted with the Cambridge teachers on various areas of professional development programs - online and face to face, methodologies used in curriculum transaction, the new school support hub, using discussion forums for subject-specific queries, Testmaker-the new online service to create high quality customized assessments etc. 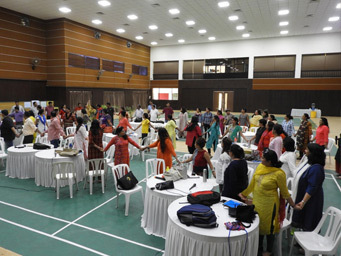 The teachers of Aadhar & Prangan attended a three-day follow-up workshop by Ms. Gita Bhalla & her team on various activities like music, creating imagery through stories, drawing and free play which when practiced with conscious intention brings rhythm into the lives of our children. 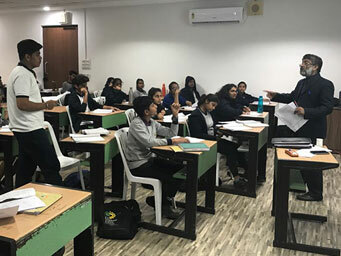 The students of class X IG attended an illustrious workshop, conducted by Mr. Jayapal Reddy, familiarizing them with the exam style questions, expectations of Cambridge examiners, marking criteria and developing high-grade answers in the IGCSE Literature English (0486) examination. 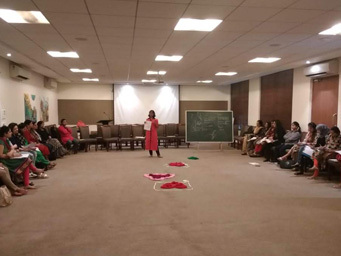 Eminent Clinical Psychologists Swarnima Bhargava and Puroitree Majumdar from 'Children First' interacted with the teachers of Sopaan and Shikhar about issues faced by these young adults and ways of incorporating 'bubble time' to connect with students in multiple ways. 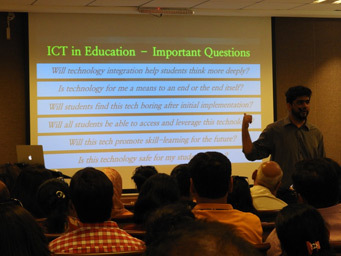 Mr Ashish Mandhwani, the ICT Head of Sri Ram Schools, took sessions with all teachers of TSVS on 'Who is the 20th-century learner/trainer?' 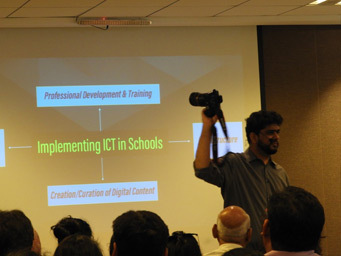 He spoke about enhancing learning through the innovative use of technology in the classroom, the need to incorporate global best practices in ICT in the Indian scenario to get a good head-start and the importance of content creation & curation. 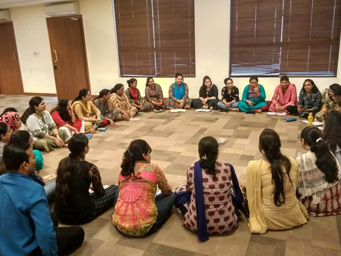 Ms. Vasudha Prakash, Ms. Geeta Bhalla, Ms. Pooja Bhalla and Ms. Ajeeta Panshikar were the resource persons from the Waldorf schools who took the teachers of Aadhar and Prangan through the various stage of a child's changing consciousness and the changing role of the teachers and thereby equipping them to connect with the kids better. 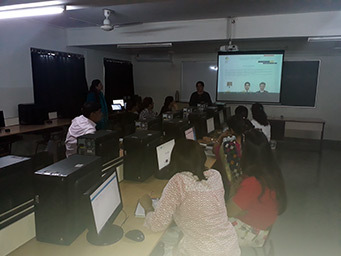 The teachers of Sopaan were part of an ICT training where they were trained on audio/video and image editing using Windows Live Movie Maker, making data handy using generic file formats and conversion from one format to another, OneNote as a resource book and PDF editing. 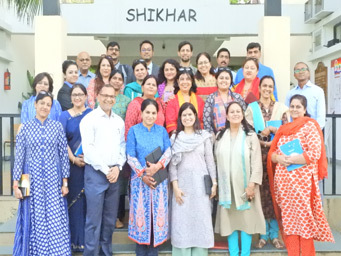 The teachers also completed the requirements for certification in the area of "Technology-enriched Instruction" and "Teaching with Technology" program. 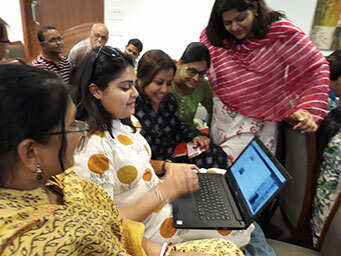 The Prangan staff had a hands-on training on Digital Story Telling by Audio/Video and image editing, making data handy by working on generic & portable file formats and formative assessment tools like Kahoot and Quizlet. 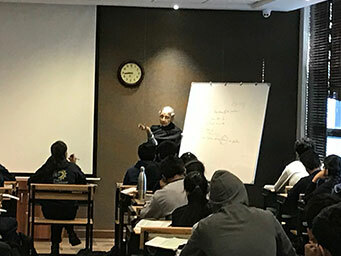 The staff also completed requirements for certification for "Technology-enriched Instruction" and "Teaching with Technology". 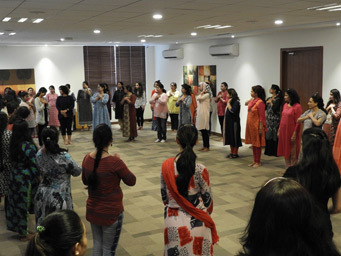 All the teachers successfully received their certificates at the end of the session. 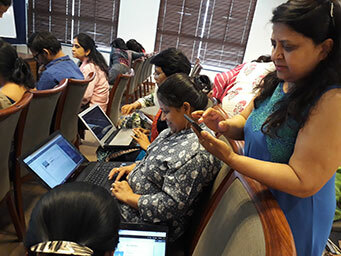 30 faculty members of Prangan were a part of a 3-day training program where they were taken through the features of OneNote and its benefits for educators. 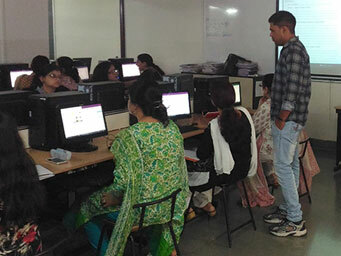 They were introduced to the process of developing and sharing lesson plans in OneNote. 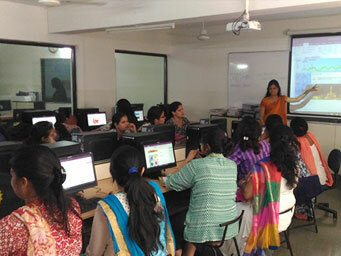 At the end of the program, they successfully completed a certification exam by Microsoft OneNote. 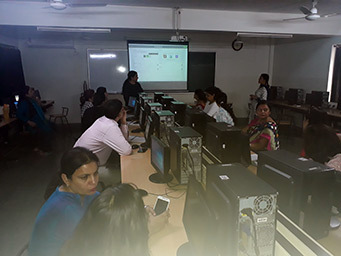 Hindi teachers of the school had an ICT training on usage of Hindi Tech tools pertaining to Hindi typing in Unicode and different font, Hindi speech to text tools, Story writing tools and speech synthesis tools. 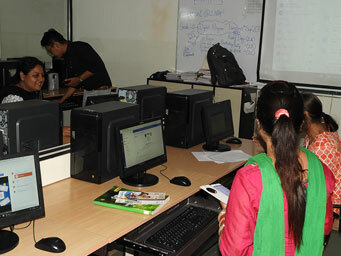 A list of useful resources and websites available was also shared. 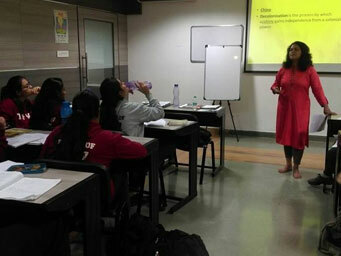 The session was conducted by Ms Sonia Wadhwa, the IT Manager of the school. 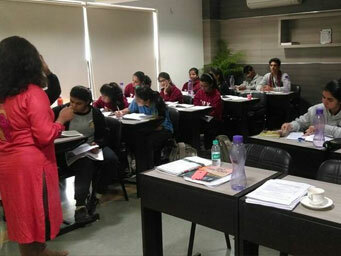 To ensure that our class XII students are confident and fully prepared to ace the ISC board examinations, a two days' workshop for Business Studies was organized under the expert guidance of Ms. Pratibha Singh from Hutching School, Pune. 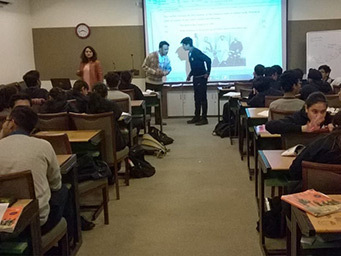 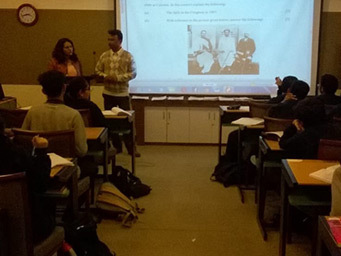 Ms. Vineeta Chauhan and Mr. Somnath Ganguly conducted a History workshop for the students of ICSE class X. 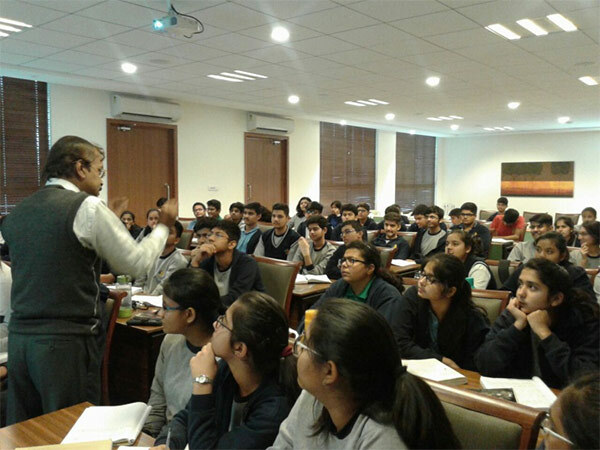 This two day workshop on 20th & 21st December 2017 revolved around essential guidance on examination skills, subject revision and answer presentation. 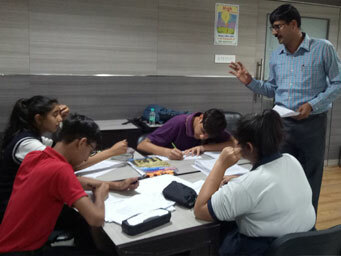 Ms Adarsh Wadhwa conducted an ISC Accounts Workshop for Grade XII to augment their knowledge of the subject. 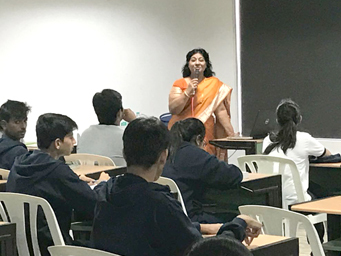 She discussed the entire syllabus stressing on newly included topics, marking scheme and presentation style to optimize grades and other exam skills to excel in the upcoming board examinations. 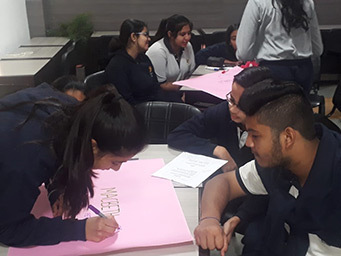 The students of Grade XII enriched their knowledge of various aspects of Commerce under the expert guidance of Mrs Rani Bhatia from Kanpur in the Commerce Workshop conducted on 27th and 28th November 2017. 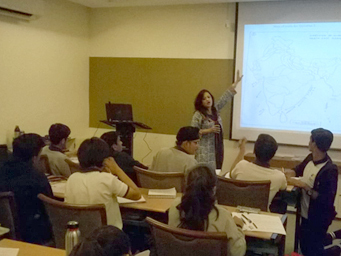 ICSE Geography Workshop for Grade X was conducted on 25th November 2017 by Ms Mahua Chatterjee. 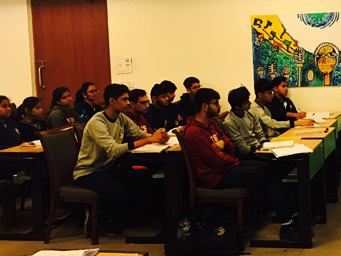 The students got an opportunity to deliberate at length about subject-specific queries regarding toposheets, decrypting the map right, best answering style to optimize grades and other exam skills to ace the upcoming board examinations. 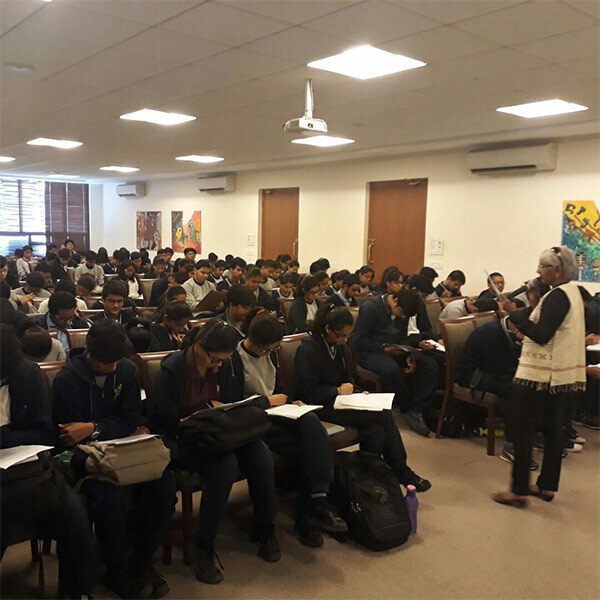 A Commercial Studies examination workshop was conducted by Mr. Bhaskar Basu on 24th � 25th November 2017 for the students of Class X AB. 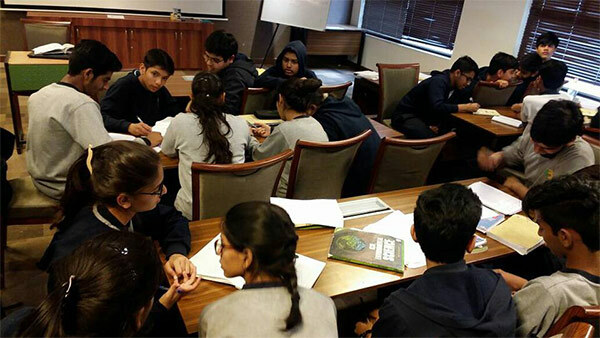 The workshop included a revision of the entire syllabus, discussion on mock papers & previous years' question paper and commonly committed errors by students. 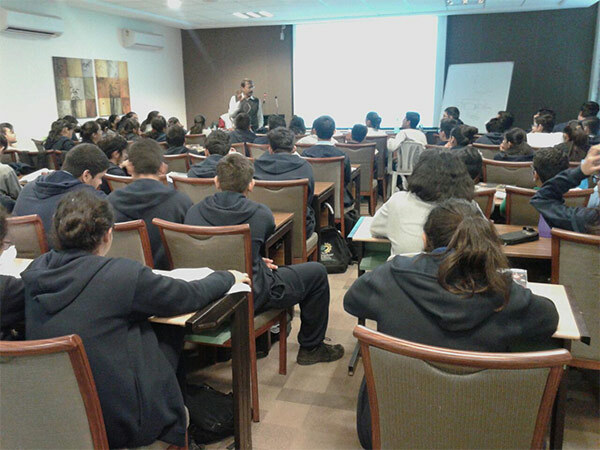 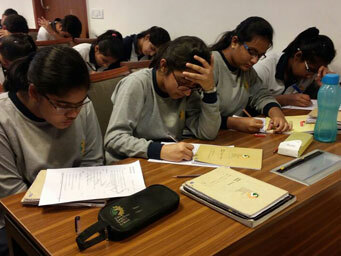 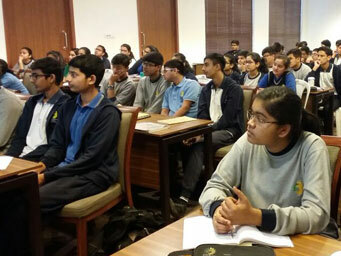 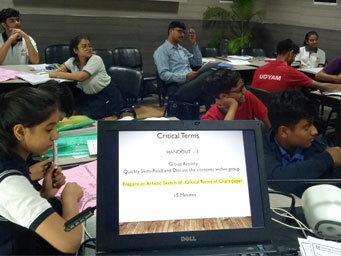 The Department of Mathematics conducted an intensive 2-day exam skills workshop for the ICSE students of Class X. 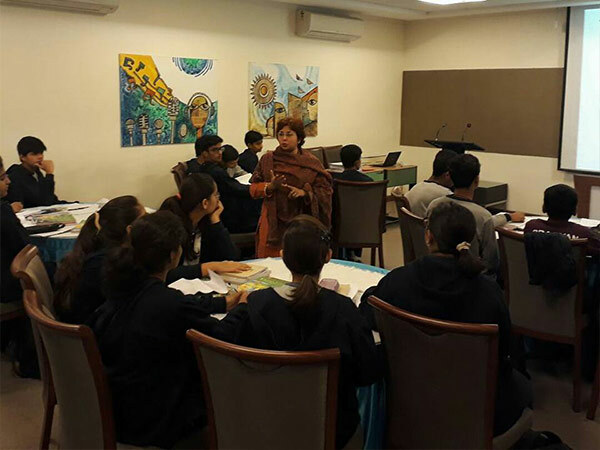 The goal of the workshop was to solidify students' understanding, clear their concepts and to impart them the skills to score well. 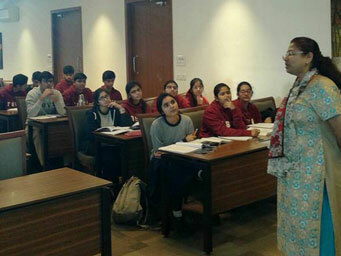 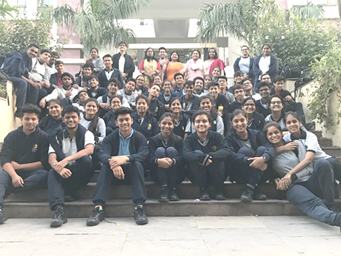 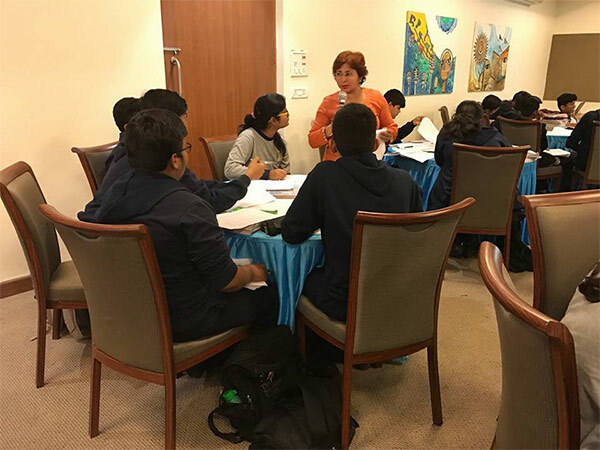 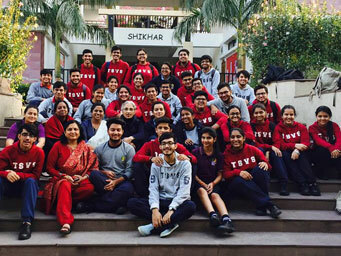 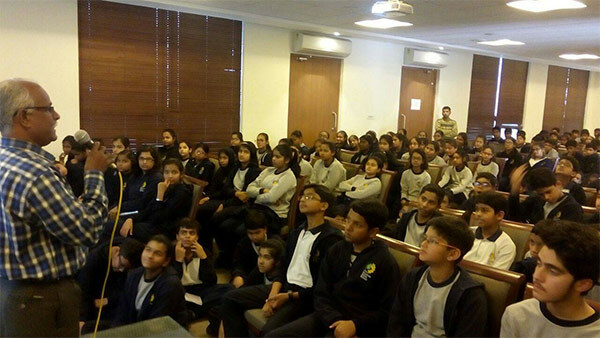 To help the IGCSE students of grade X be on top of their game in the upcoming board examinations, Ms Pallavi Jha from British School, New Delhi conducted an IGCSE Geography workshop enabled students to hone their exam skills. 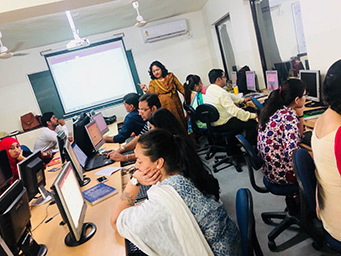 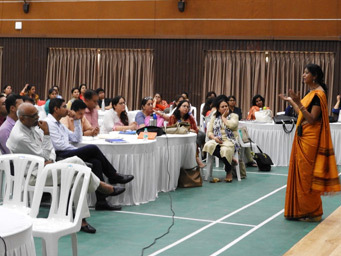 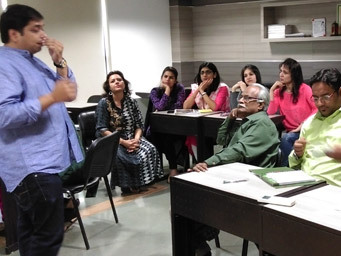 With an objective to empower teachers to weave technology into their lessons and make their lectures more interesting and innovative, a training was conducted by Depedagogics, Gurgaon where trainers gave 8 hours training to each teacher. 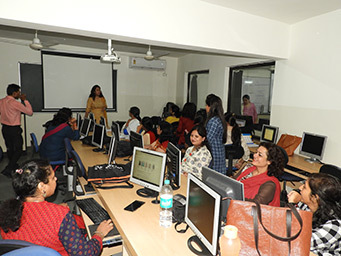 The sessions covered many tech-tools for content creation, content sharing, formative assessment & group projects and teachers received a hands-on experience on OneNote, Padlet, Quizlet, Sway, Office Mix, Kahoot, Forms and Office 365. 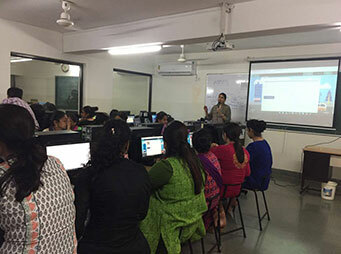 Mr. Bibhuti Sinha, Trainer from Juana Technology, New Delhi provided training to the ICT staff of the school to use Office 365 tools effectively for Educators. 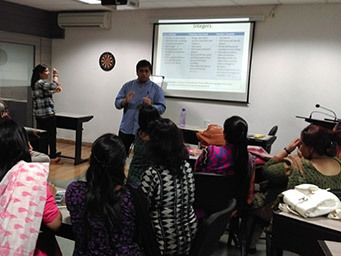 He discussed the strengths of the software that promote effective classroom management and school administration. 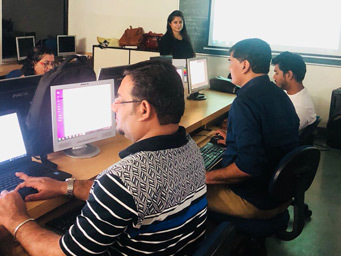 Mrs. Sonia Wadhwa, IT Manager of the school in association with her team conducted training on the topic "Build a Collaborative Classroom and Increase Productivity using OneNote". 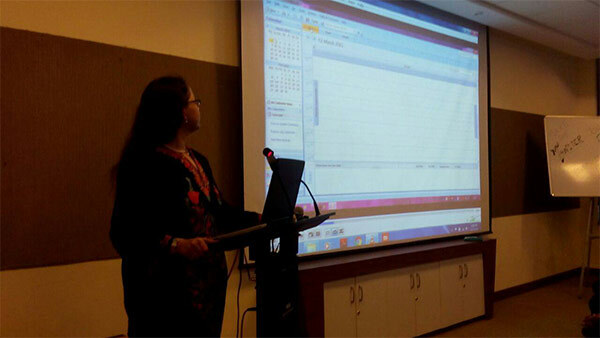 As part of the training, the trainers explained the power of Digital Notebook Software 'OneNote' with special emphasis on the software's strength to allow effective collaboration, personalised learning and special learning tools for differently abled students. 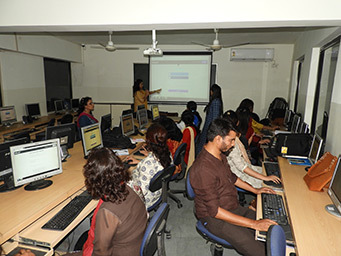 The training was completed in two slots of 1 hour each. 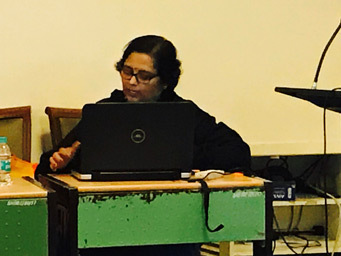 Mrs Sonia Wadhwa, the IT Manager of the school & her team conducted an ICT training on formative assessment tool Kahoot for all the teaching staff. 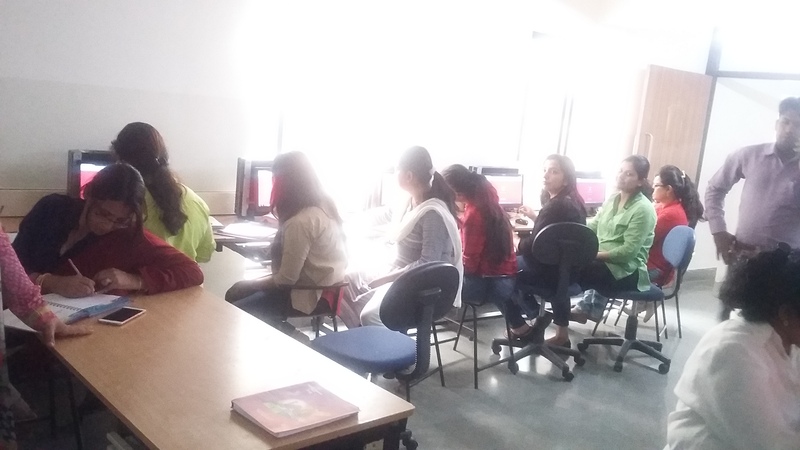 Kahoot is an effective tool to conduct formative assessments, engage students through fun games & quizzes and also to conduct surveys. 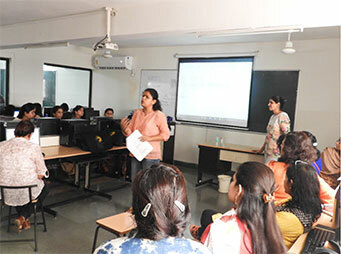 An IT training on Content sharing and Learning Management Tool-Edmodo was conducted by Ms. Sonia Wadhwa, the IT Manager of the school for the teachers of grades VI to XII where they were introduced to tools to create class groups and share digital content, links to resources, assignments and notes with the students through the portal. 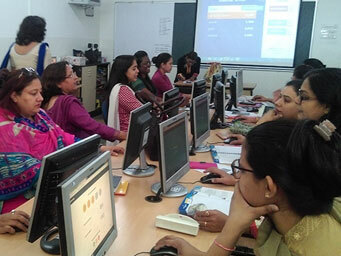 The teachers were also trained to build their own content library using the portal. 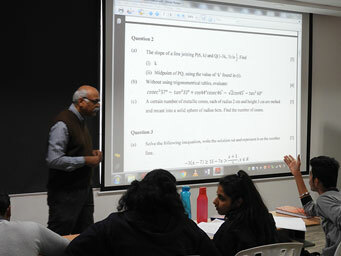 Maths Workshop Prangan Teachers by Divesh Bathija. 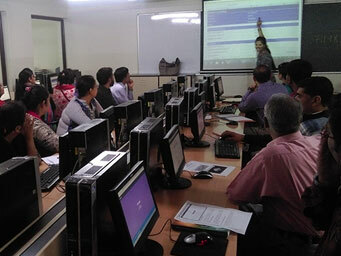 Lot of curiosity and excitement was seen among the Aadhar Teachers during the IT workshop session. 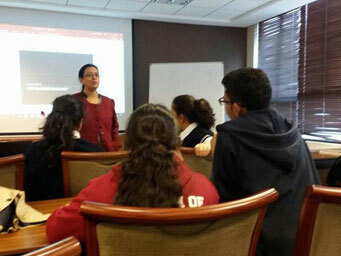 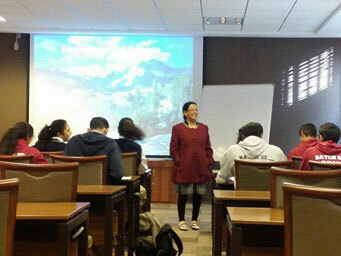 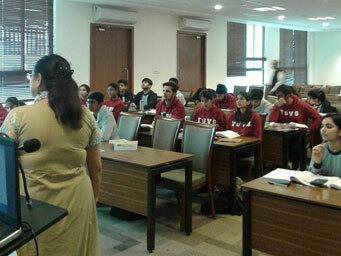 The department of English conducted an orientation session for the students of class 9 on the 23rd of February. 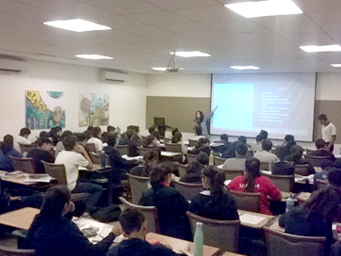 History workshop for the batch of 2017 in full swing by our internal resource person Ms. Vineeta on Examination Skills. 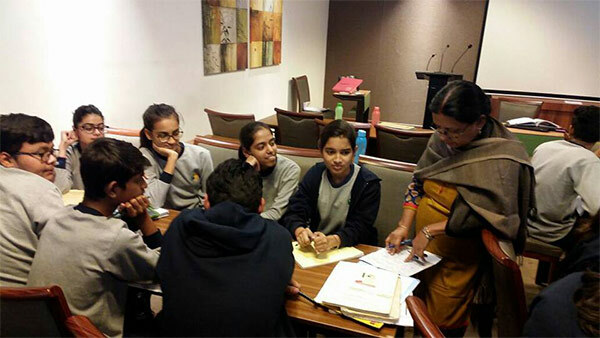 by Ms.Ranjini Krishnaswamy, Director Principal of Billabong High Internation School, Thane. 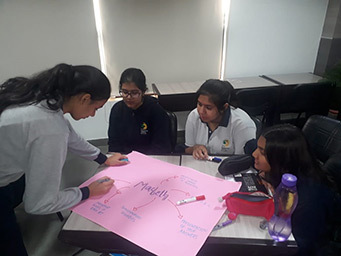 For Grade 7th and 8' to warm up students before the year-end exams and empower them with stress busters.